I happened to find his name on judge sheets in NHK Trophy. It reminds me a lot of beautiful memories. Of course, never be surprised about it. Because I know that he has a lot of International experience as a technical specialist or a coach or a competitor. At age 13, David Santee became the youngest U.S. Junior National champion. He competed in the 1976 and 1980 Olympics. He qualified for 7 world championships and finished 2nd in 1981. It just happens my house is located near the Oakton Ice Arena, in Park Ridge. It takes only about 5 minutes. And it happened David, his young brother, Jimmy and his wife, Jamie had been working there. 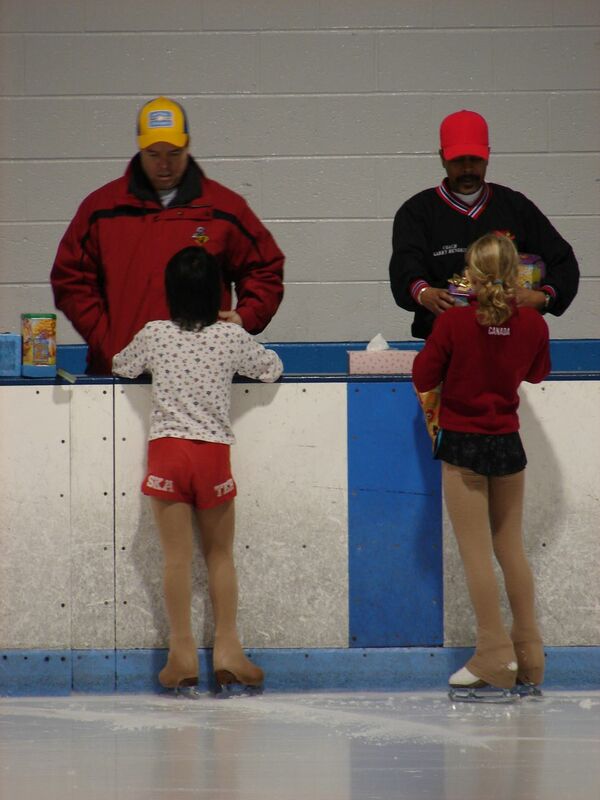 So, my daughter, Miki had taken private lessons by these 3 coaches for a long time. It has a lot of fun. I am really grateful for their kindness. Later, David got a seat at figure skating judge table in the Sochi Olympics. He worked as a data entry and a video replay operator for the judges' technical panel. As everybody knows, Technical specialists call out elements during skaters' routines. Santee will tag their elements during the videos, allowing judges to replay if needed. "It's not just for the judges," According to Associated Press, Santee said. "The replays are used for the television audience, so millions of people around the world are watching them. And it's all done in real time, as it's happening on the ice." "If you love seeing top quality figure skating, then this is where it's at," he said. "Pretty exciting." Actually, NHK Trophy is the memorable 40th-anniversary event this season. When the NHK Trophy was held in 1979 at the first time, Robin Cousins won 1st place, Fumio Igarashi in 2nd and David Santee in 3rd. It means, David, who participated in the first year as a great skater, also participated as a great specialist. There has been a series of coincident events. Nothing like it. Heart feels great, love, respect and proud of Santee family.